Going into this space originally I knew one thing, there would be a major Gallery Wall as the focus in the space. Now the difficult part of pulling a Gallery Wall together when you have no clue who is moving in is you can’t make anything personal… So I simply grouped as many lovely things as I could get my hands on & went for it. A la Kate Spade. I have had this in my inspiration files for years so it has been fun to reinvent the look for this space. I knew I wanted to have fun with the Art in this space too. Remembering that this room will house young ladies who are around 17-22 transitioning from Foster Care to Independent Living I needed this space to be Happy & Uplifting. 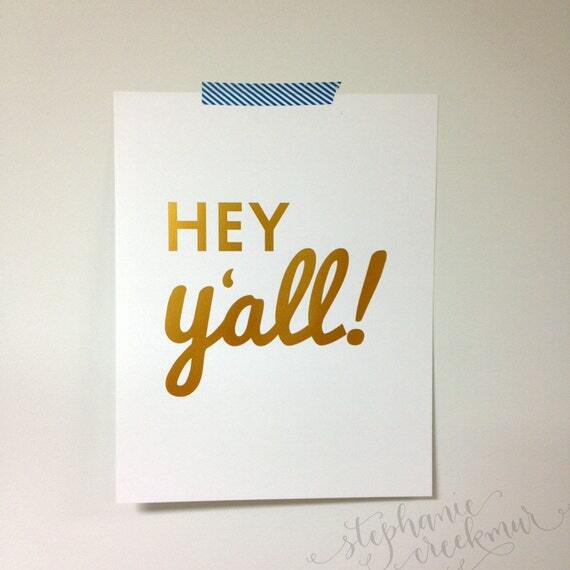 And since we are in the South, what more appropriate way to welcome the new young lady & her guests to the space by a very Southern “Hey Y’all” print. Everyone that has walked into this space instantly gets a smile on their face upon being greeted by this charming Gold Foil Print by Stephanie Creekmur. Love it!! I was thrilled when Stephanie agreed to donate one of these prints for the room. This was exactly the tone I was going for! Luckily for the space (because it would have been a sad gallery wall otherwise!) Every single piece was donated. If not by the Artist themselves, than by my artsy friend who let me raid her collection & of course the assistance of Shutterfly who printed numerous items for the space (as well as those crazy cute plates & cups I shared yesterday.) 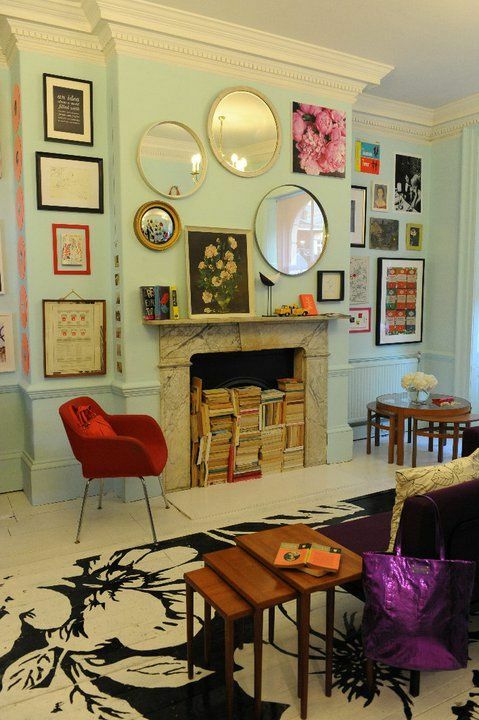 This truly allowed for the eclectic gathered feel I was trying to evoke. I adore a little modern art. I needed a lot of color. So of course I went to the talented Heidi Carlsen-Rogers. 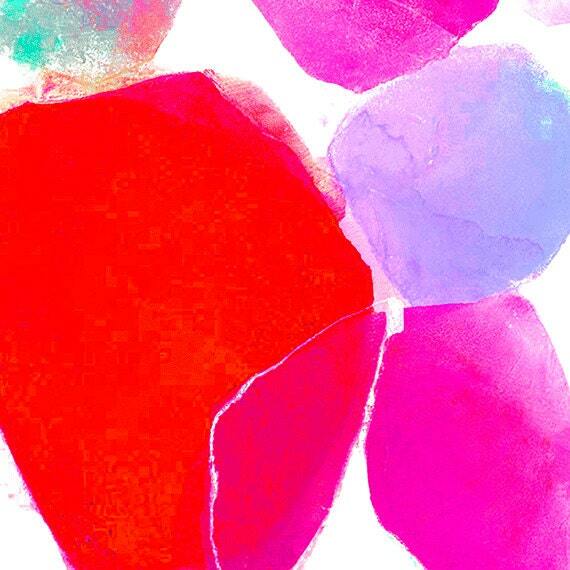 All of her pieces are exploding with organic shapes in the happiest of hues. 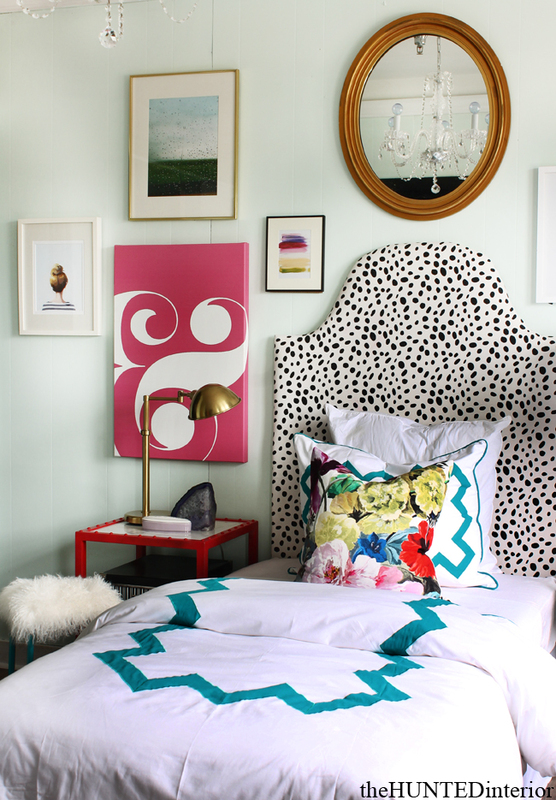 The red, pink & turquoise combination seemed like it was literally made for this room. 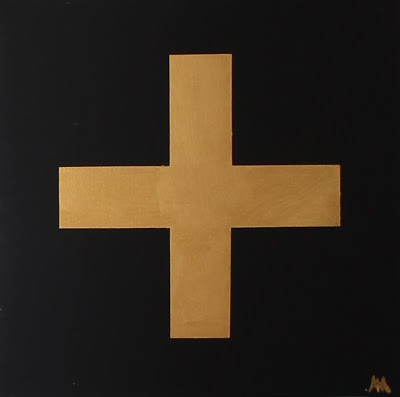 Plus, Heidi is currently donating 10% of any art purchase to the relief efforts in Oklahoma. Allie contacted me after my first post about Room Service Atlanta & literally offered up her entire Etsy Shop. I was completely moved. I saw this original work on canvas & thought it would be a great “Positive” addition to the install. Get it… Positive! 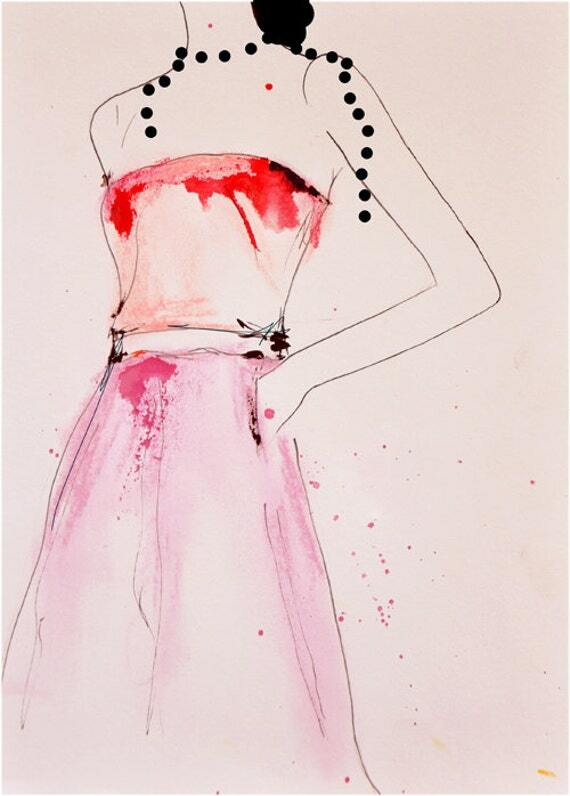 The next piece was one from my friend’s collection… but I knew there would be questions about this beautiful fashion illustration. 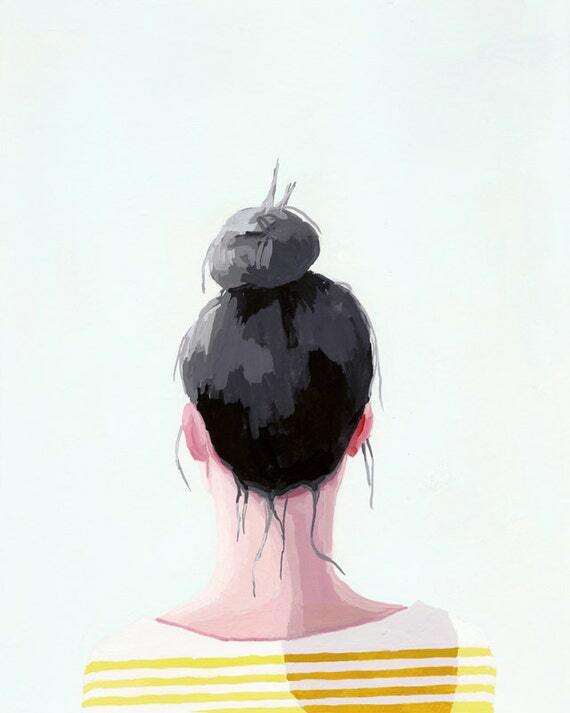 This is a work by one of my favorites, Leigh Viner. It added the perfect touch of feminine charm & sophistication. 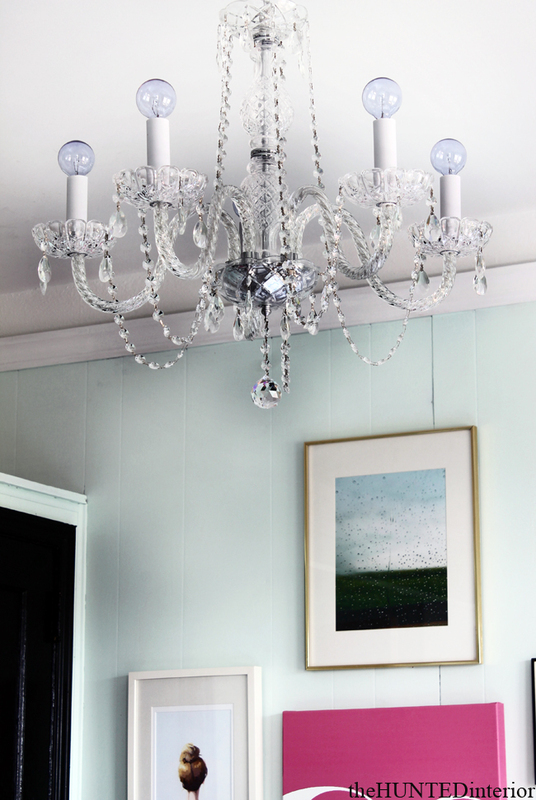 While not a true addition to the Gallery Wall, the Chandelier does get reflected back into the space thanks to the strategically placed oval mirror. I knew I needed more light in the space, so by placing the mirror above the headboard it catches the light of both the Chandelier & the kitchen pendant as you walk throughout the small space. 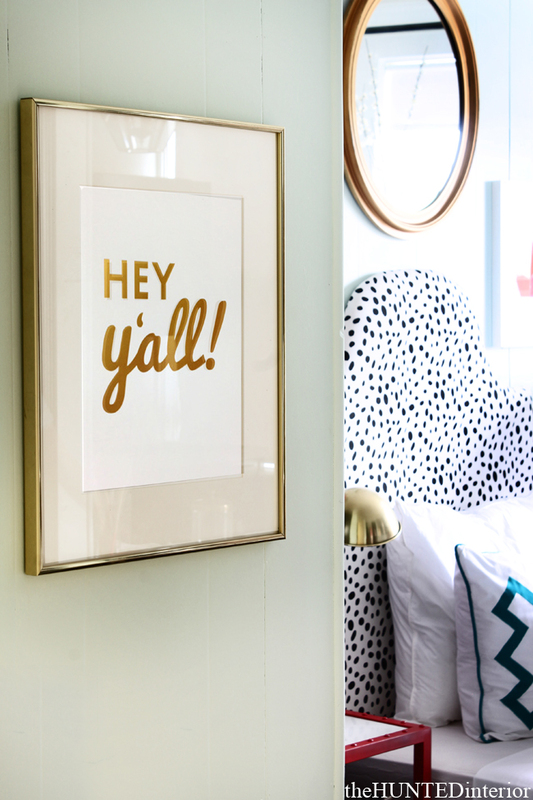 And it wouldn’t be a Kate Spade inspired space without the Ampersand Print… They would make a killing if they ever decided to sell those! I’ll be sharing how I created my own Ampersand Canvas & more details on how to create, arrange & install a gallery wall like this over at Shutterfly very soon! Thanks again to all the artists for helping make this space beautiful!! I want that top know print too! Actually, I'll take them all! You knocked it out of the park. So kind of all these artists to donate their work. First, I LOVE this room. I love everything in it. I can't imagine any girl being so proud/happy to call it home. Second, you're KILLING me! Please hurry with the ampersand tutorial. I need one. bad. Thanks for sharing. I enjoy your work. I love all the artwork. They work so well together! I love the mixture of all the different types of artwork as well. What about the one up on top to the left? Is it a picture you took? It looks like rain, and I love it. Where can one get it? It was one from my friend's stash with no info with it… If I knew, I would definitely let you know! 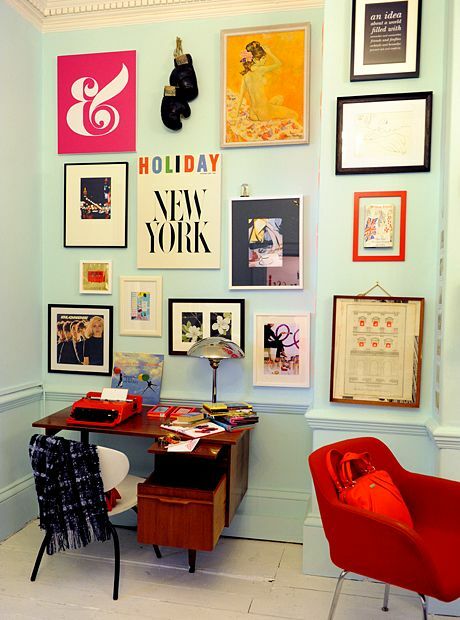 Love, love, love this eclectic gallery wall. You have the Midas touch Kristin!! Love it all! What wonderful artists to share and provide such a colorful space for these young ladies. Love the paint color! What did you wind up using? I seriously just keep coming back to see this room! I cant get over the transformation! Id love to hear all about how the recipients reacted to the space when they saw it. I'm so inspired by this space, Kristin!! I'm working on a 'tween' room for my daughter and this is definitely going into the inspiration files. Thank you so much for sharing! Love your blog. You are so talented! I cannot wait till you post how to DIY Ampersand Canvas. My daughter would enjoy it in the very same colors too!! Hey Megan! I emailed Michelle, but those are Goodwill frames! I think it was $4 for the 2 with the matting. Insane! I love your room. It seems so great living in such wonderful place. But I especially love your chandelier. It makes the room look more elegant. LOVE LOVE IT! I've been stalking the top knot print and Hey Y'all from Stephanie also. Finally ordered the gold skull from Made By Girl to get myself going. 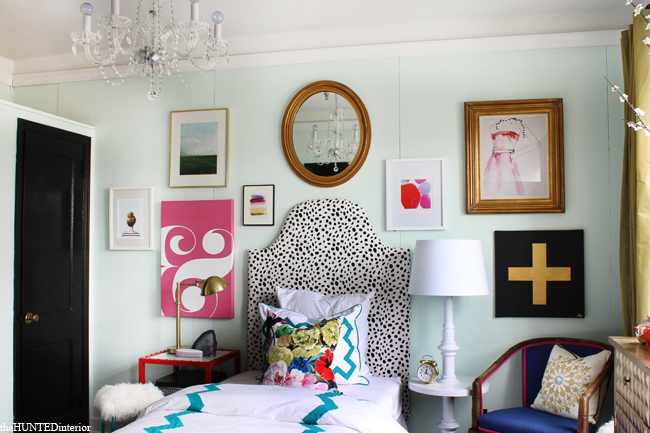 Love this room…what fabric is used on the headboard?